In May of 2011, I came to the Kagoshima University located on the southern tip of Japan, for my sabbatical from The University of the South Pacific where I was a Professor in Economics. 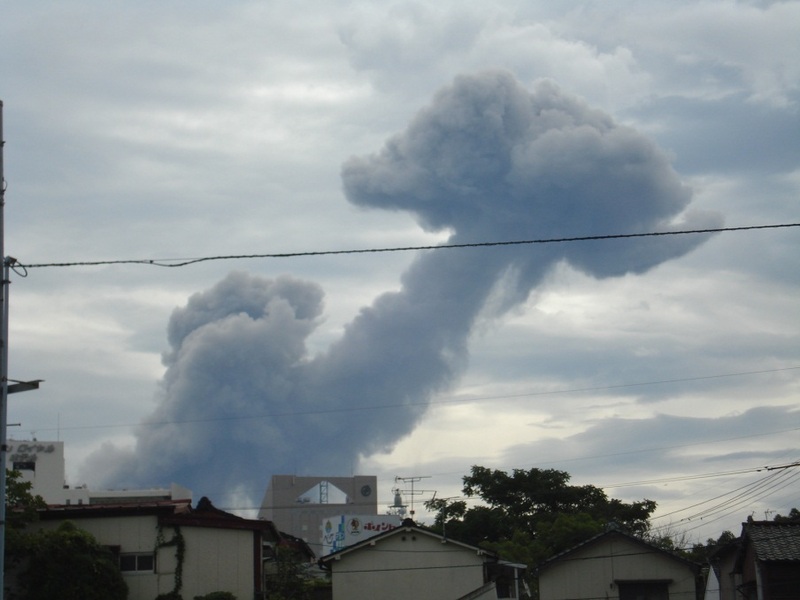 It was just two months after the March 11 earthquake off the coast of Japan, the seventh largest recorded in history. The resulting thirty foot high tsunami created a massive disaster in coastal north-east Japan, including the virtual melt-down of the Fukushima nuclear power plants. Night after night, the television channels portrayed accounts of the devastation to people’s homes and livelihoods, the economic costs, the radiation leakage affecting people, crops, farm animals, and the environment. But shining through all these problems, was the indomitable, calm and stoic spirit of the Japanese people who said they would overcome these tribulations just as they did after WWII, while they rise to the few joyous events that have uplifted the nation. On a weekly basis, I personally kept discovering something innovative or attractive in Japanese everyday lives, some of which Fiji could do with. I present a selection, in no particular order of importance (Section A). There were also some areas where I was puzzled to find that Kagoshima University and Kagoshima were not taking advantage of global opportunities to strengthen their own economy and society into the future, especially given that the next few decades will pose severe economic problems for Japan. These include the lack of any basic English-speaking environment which could facilitate larger numbers of English-speaking students and tourists, and the lack of any significant labor-market initiatives to address their long-term labour problems of looking after the very large numbers of elderly which now comprise one of the highest proportions in the world (Section B). The Pacific Island Countries, of course, are in a very good position to provide aged care human resources. The west is quite aware of the Japanese game shows with the players engaged in all kinds of silly or dangerous activities. What they are not aware of are the numerous television programs that were absolutely informative and developmental, and would be ingreat demand internationally with adequate subtitling in English, French or German. Certainly, many of the programs would be of great use in the Pacific countries in assisting their development efforts. I will mention just a few- education of children on the value of domestic foods and food preparation. 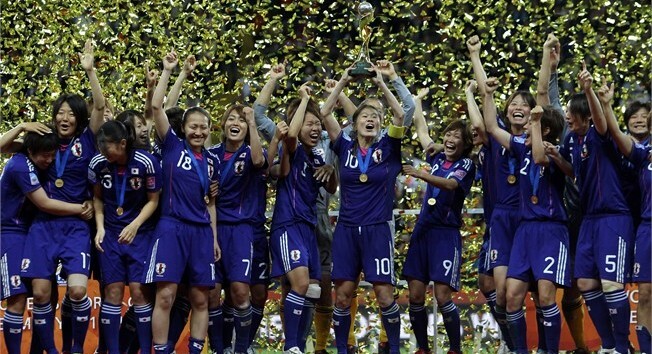 The Nadeshiko team, short and petite, were always seen as the “under-dogs”, compared to the rugged tall amazonians fromUnited States,Germany, Brazil andAustralia. Other Japanese sports stars and coaches behaved similarly on TV: with humility, dignity, and respect for colleagues and opponents alike. There was no evidence on national television of the kinds of political infighting that one sees so frequently in Fiji sports. Japan is notorious for using packaging materials for virtually everything. Every super-market sells large quantities of ready-packed “lunch-boxes” with the separate compartments for rice, noodles, meat, fish, pickles, tofu, vegetables. All the foodstuffs- meats, fish, vegetables, fruit, pickles etc are all individually and very attractively packaged for consumers. Large packets of biscuits will have smaller packages inside- so that one does not have to consume the whole packet once the larger packet is opened. While one might decry the negative environment impact of all the packaging materials, Japan reduces the waste by very meticulous recycling. Every household and firm separates out the paper and card-board cartons, the plastics, the bottles, the cans, and the organic waste. All are collected separately and recycled where possible (see photo). Can one imagine this happening in Fiji, where it is difficult to get people to even have one proper container for household rubbish? But here there was not a single pile of dirt in sight. All the dirt dug up, had been placed immediately and directly on the back of a truck. The wires and pipes or whatever, were laid that very same day, the soil put back in, and the ditch tar-sealed over before sun-down (see the photo). This similar tidiness and neatness prevails everywhere, with householders or shop-owners cleaning up the street and gutters in front of their premises. 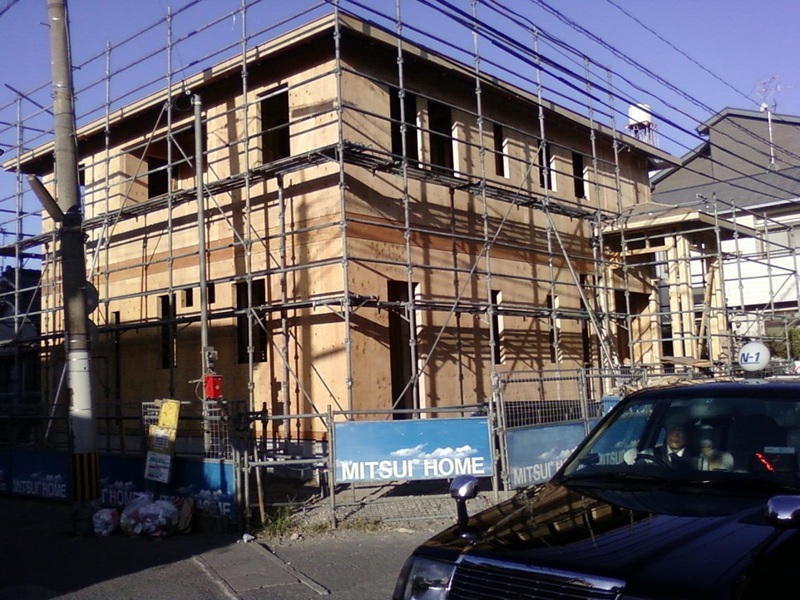 I have been astonished at how neatly and tidily a house construction has gone on, on my way to the University. No rubbish, or building materials or tools, lying anywhere on the site. I went away to a conference on another small island (Tokunoshima), and came back three days later to find the entire two-story house already in place- walls, wooden floors, ceilings and roof. Soon after they put in all the doors and windows and other fittings in (see photo). Is there a lesson here for Fiji’s mahogany value adding industry in prefabrication of quality timber houses built on solid concrete foundations, for tourism or anyone? But Kagoshima residents stoically put up with it day after day. After every heavy ash-fall, city council trucks go racing around trying to sweep all the dust up on the main roads. Households and shops gather up all the ash not only in their compounds, but also in the foot-paths outside, and even in the gutters, all packed up neatly in special yellow plastic bags, to be collected on specified days. The ash collected is used to build up an island in the Kagoshima Bay. What a wonderful a transformation: the ash from a volcano, thrown up into the atmosphere, deposited over a city, collected and transformed into an island over which the volcano broods, like a mother over its child. Fiji also has hot water springs here and there, but most well known in Savusavu. But there are no bath-houses there to extract revenue from tourists. The nearby villagers merely boil eggs and cook some Fijian foods, for the occasional television camera. What an opportunity going begging. Girls and women may be seen walking or cycling around late at night in any of the main streets or back-streets. 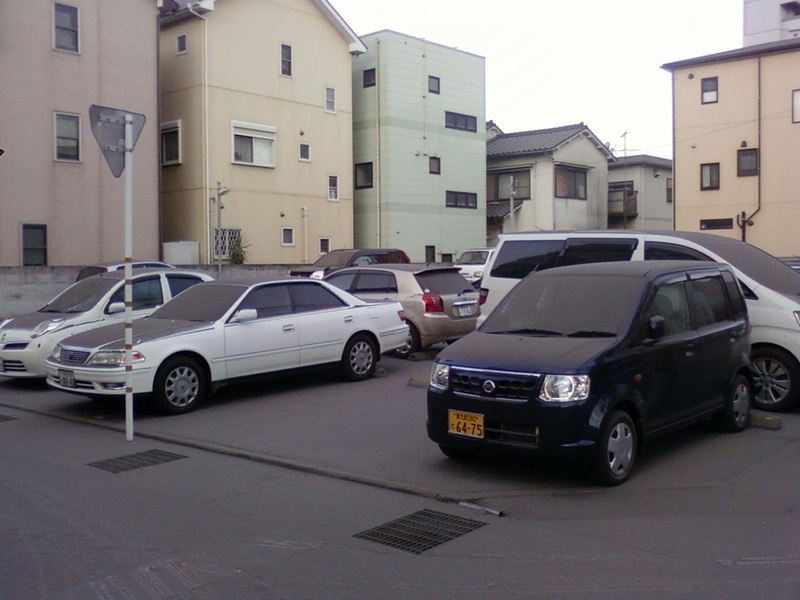 Of course, Kagoshima is a small town, and the situation would be different in Tokyo or Osaka. ButJapanis currently dismayed at the murder of the Japanese female tourist inFiji, who very unwisely went to a beach party in Nadi. We all know of the reports of females (tourists and locals) being sexually assaulted all over Fiji, children being abused, and random violence perpetrated on citizens. We know of the generalised violence and crime that took place inFijiin 1987 and 2000. None of that occurs inJapan. 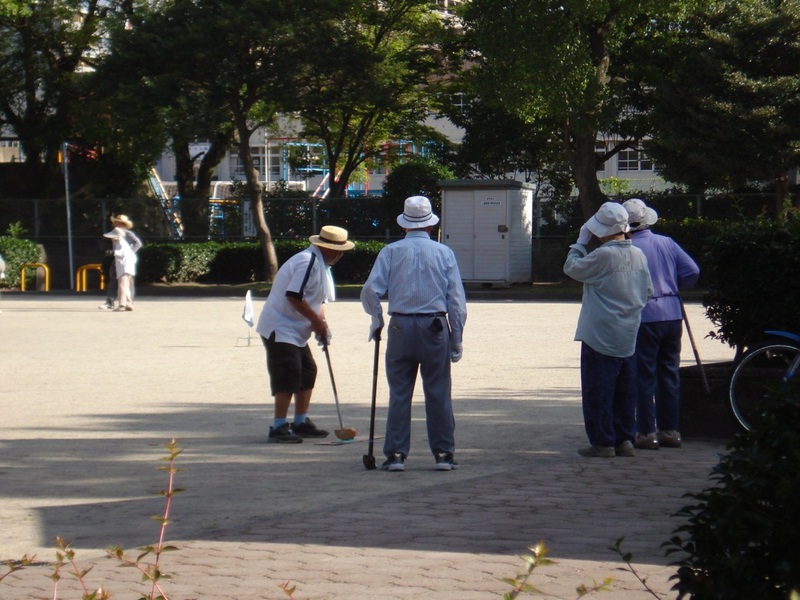 One of the fascinating early-morning experiences in Kagoshima is the pervasive presence of the elderly in the urban “parks” of Kagoshima. I have put quotation marks around the word parks, because the usual expectation is of parks with grass. These Japanese parks only have rough sand. Initially surprising, I soon realized the great advantage of having only sand- despite the frequent rainfall there is no mud. There are drains around the whole park covered by metal grills, and all rainfall overflows into these drains. There is surely a good lesson for parks in rainy Pacific Island Countries like Fiji, Solomon Islands and Vanuatu. Incidentally, Kiribati, with its lack of soil, also ends up with having play-grounds like Kagoshima- mostly coral sand drawn from the beach. Early in the morning in Kagoshima, the elderly, mostly men but also with a scattering of females, would congregate at these parks, with their flasks of green tea, snacks and whatever else they might need for the day. Their first task would be to completely clean up the park of any rubbish that may have been left behind by the previous day’s users (usually very little in any case). They would then rake the ground smooth, and set up their Gateball games. By mid-morning they would be gone, and replaced by mothers with young children. The Gateball game is an interesting version of croquet. Small goal-posts are set up around the park and balls are hit with a mallet to pass through the goal posts, by competing teams. Points are scored for going through the goal and for hitting the central post in the goal. The players walk all around the park- as fast or as slow as they wish. All in the fresh open air, and of course, with frequent breaks for tea. One interesting feature of these urban parks is that they are found in every suburb so that the elderly do not have to go far to access them. Fiji’s capital, Suva City, recently set up a special garden for the elderly in the Botanical Gardens near Albert Part. While the idea was good, it is however quite inaccessible for the elderly who live in all the concentrations of population quite far from the Botanical Gardens. Almost certainly, this garden for the elderly will be a failure, especially for the poorest elderly who have no private means of transport, and with the total absence of any activities which the elderly could be engaged in. Japan, with its extremely high life expectancy, has one of the highest proportions of the elderly in the world. I would often by surprised to see people aged seventy or over (who in the Pacific would be the elderly needing care), wheeling around those aged ninety or over. However, Japan is already facing serious constraints on the supply of workers who will be available to look after the elderly. During my stay in Japan, I did not travel very much but I did not have to. 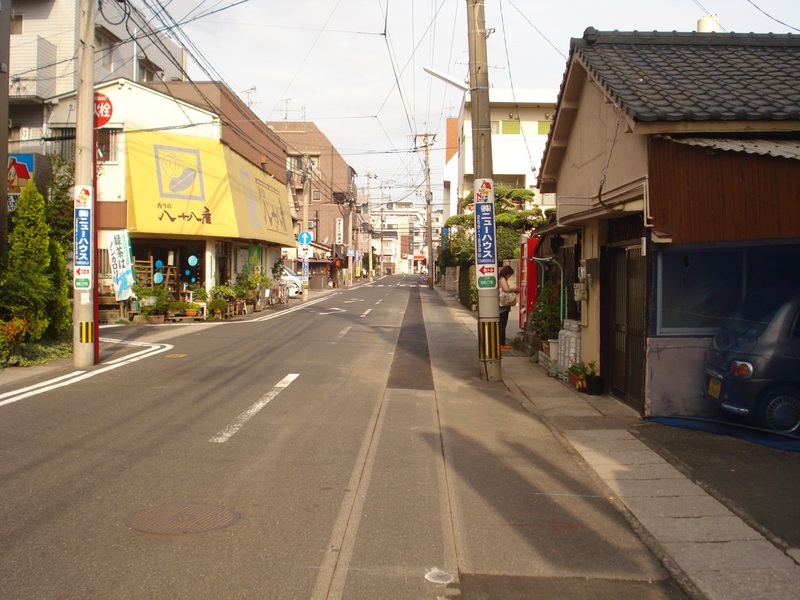 Just watching the television programs every night gave me a wonderful idea of what Japan was like in urban and rural areas. Of course, there were the usual popular programs appealing to the young Japanese- like the game shows and the numerous music programs featuring singing competitions. But there also were numerous documentary type programs covering an extremely diverse range of issues Japanese economy and society. One dominating theme was food preparation. I was quite puzzled by what I thought was an extreme preoccupation with food preparation of all kinds of dishes, great variety of cooking ingredients, great variety of cooks and chefs, and nearly always a panel to judge the taste of the food being prepared. There would be tremendous camera work, focusing closing on the colour and texture of the foods being presented, invariably in picturesque fashion- clearly for the Japanese, an aesthetic appearance was just as important as the taste (in contrast to the Pacific where food can be piled higgledy-piggledy on the plates, usually in massive quantities. Invariably, the panel of judges, upon tasting, would roll their eyes and pronounce “oishii” or “umai”. Not once did a judge screw up their face and say anything negative or even neutral. There were also numerous programs which detailed how many complex food items were prepared commercially from ordinary Japanese crops, with value adding making items more desirable for consumers. Kagoshima in particular produces many food items from the humble sweet potato or kumala. There were not only the kumala chips or sticks, but many complex and tasty desserts, very attractively made and packaged. There were also programs which took urban school children into the rural areas to personally be involved in the planting of root crops or rice and its harvesting, so that they could identify with the rural producers and work that led to food on their tables. One unusual documentary took a family (a couple and two childrend- a boy and a girl) out to sea with a fishing boat where they helped with the catching of a wide variety of marine products such as fish, squid and shrimps. The family would there an then on the boat eat the fresh shashimi. Back on the wharf they would immediately cook a number of products, with the whole family involved. This family also did the same with many other farm products as well. So many good messages were sent out by this particular series: identifying their daily food items with the people who produced them, the work involved, the preparation of the food with the involvement not just of the mother and the daughter but also the father and the son giving viewers a strong lesson on the importance of gender equality in the sharing of cooking responsibilities. The impression I have is that Japanese men tend not to share cooking responsibilities with the women. The Pacific people who are now consuming less and less of their own root crops (such as taro, cassava, kumala and yams) and marine foods (such as fresh fish, shell fish etc) would do well to emulate these value-adding activities which maintain consumers’ demand. There of course were all the documentaries dealing with the impact of the March tsunami and Fukushima nuclear disaster. There were so many issues raised by the tsunami: why were people so unprepared, why were the warnings not given earlier, why did the so many buildings crumble so readily, why were some areas so much more vulnerable to the surging tsunami, and why did the physical defenses not work. There would so many sad documentaries revealing the personal tragedies that took place, the heroic sacrifices which were made, the numerous poignant reminders to families of what they had lost, such as old photographs or precious belongings being recovered by strangers and restored to their original owners. Night after night there were also new revelations of the studies that had been given to the nuclear power generating companies warning of the likely risks of exactly the kind of earthquake that occurred (and no action taken), of the much greater extent that the radiation had spread, the huge amounts of soil that had been contaminated and had to be removed, the huge disagreements between the national government and the prefectures about where the contaminated soil would be kept, with Fukushima adamant that other prefectures must, in equity, also share in the burdens posed by the nuclear disaster, the complaints of rice and beef farmers whose products could not be sold because of the risks of contamination. All these documentaries will be of immense and continuing interest to other low-lying parts of the world which are vulnerable to tsunamis and earthquakes. In my last few months in Kagoshima, the nightly news also came to be dominated by Japan joining the talks on the Trans Pacific Partnership free trade accord, which most studies showed would be extremely beneficial to Japan in the long run, with the benefits far outweighing the costs. However, with one likely outcome being the lowering of tariffs on a wide range of farm products such as rice and beef, the media showed huge emotional opposition from the million or so small rice and beef farmers who would in likelihood go out of business, severely undermining the stability of the Noda government. Similar issues are posed to small farmers all over the world whose countries join free trade areas or become subject to WTO decisions reducing protective tariffs. The case of the Japanese rice farmers was interesting from many aspects which suggest that the problem was a manageable one and need not lead to a national political crisis. The rice grown in Japan was especially preferred by Japanese consumers (and even myself) compared to the other long-grain rice which had a drier texture and was seen as less tasty by Japanese consumers. One would have thought that even with imports being freed up, many Japanese would still stick to their own varieties (although it was thought that the American rice industry had produced a rice variety similar to the Japanese one). Second, the bulk of the Japanese rice farmers were quite old and might be expected to retire within a couple of decades. They could of course be given early retirement options subsidized by the state. Some rice farmers could be given assistance to either go onto alternative crops in demand in Japan, or alternative occupations in an economy with serious constraints on the supply of labour. I found it unusual that in the national debate the government side did not seem to offer these kinds of constructive solutions which would enable Japan to enter into the free trade agreements without political crises, and allay the fears of the opposition that the farmers would be discarded in the interests of those who would gain. I must mention one poignant documentary which inadvertently linked the Fukushima tsunami and nuclear disaster with the rice farming industry, and the economically active elderly. An elderly lady rice farmer in the tsunami hit area with nuclear radiation, was not allowed to grow rice in the current season, creating a deep sense of loss at being forced to become economically inactive. She was however corresponding with an elderly farmer on the other side of the island who had also been hit by an earthquake with many rice fields decimated. He also had been discouraged from planting rice, but chose to go ahead anyway, in order to provide seed for many other farmers who did not have any rice seed. When harvest time came for this farmer he writes and invites the old lady from the other side of the island to come and help him with the harvest, which she does, with deep happiness at being able to help another farmer, but with sadness that she was not able to do the same on her own farm. It was a wonderful story, told so beautifully with sensitivity and emotion, and very appropriate footage. Hollywood would have made this into a beautiful love story for sixty and seventy year olds. I have little doubt that most of these Japanese documentaries that I have discussed here would be fascinating for the West and English-speaking and viewing peoples. I did not need subtitles to understand the plots of most of them, but they would gain enormously with English sub-titles or with dubbing in English (not my favourite). Here is a great commercial opportunity for someone to provide subtitles and/or dubbing into English, French, Hindustani etc, as an export industry for Japan. There would be ready markets everywhere in the world. I suggest below three areas where Kagoshima University and Kagohima Prefecture could mount major initiatives without too much effort or resources, to improve their economic well-being over the next decade. Japan faces a major economic crisis following the earthquake, tsunami and nuclear power station disasters. Policy makers have to make the extremely difficult economic and political decision on the appropriate mix of increasing current personal and corporation taxes, or increasing the public debt for future generations to pay. The choice is harder because Japanese economic growth for the last decade has been relatively poor and this situation may worsen and there is indeed a fear that Japan may go the same way as the European countries facing major debt crises. With the yen rising in value against the major trading partners, Japanese corporations are investing abroad, while Japanese consumers are buying the relatively cheaper imported goods. It is surprising therefore to find that Japan has failed to take advantage of the full potential of the tourism industry, which could have contributed significantly to the Japanese economy over the last decade. In contrast, other similarly positioned countries, like China have benefited enormously. Japan could still take advantage of global tourism which will probably grow again in the future once the global economy recovers. One important strategy would be to make Japan more comfortable for English speaking people, using some very simple measures that introduce English into the every-day life of Japanese people. 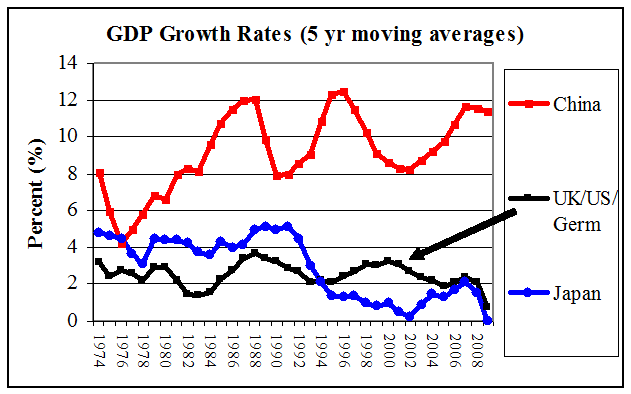 Graph 1 gives a clear indication of Japan’s poorer economic performance over the last decade. China has been averaging around 10 percent for more than twenty five years. The simple average of US, UK and Germany growth rates has been up and down between 2% and 4%. Japan from a high tier of around 4% during the seventies and eighties, dropped right down to a lower tier of below 2%, down to zero average growth for the last five years, and may be negative growth this year. Standards of living in Japan, as indicated by GDP per capita, have not improved as much as it could have. 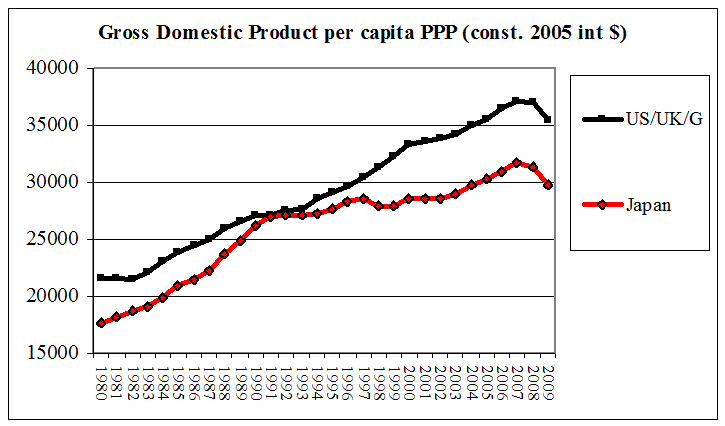 Graph 2 indicates that while the average Gross Domestic Product per capita (Purchasing Power Parity)(international 2005 Constant US$) for United States, UK and Germany has been steadily rising, that for Japan has leveled off in the nineties and this decade. The downward trend for Japan will now be worse following the tsunami and nuclear disaster. Japan already has one of the highest Central Government Debt to GDP ratio – of over 150%, compared to around 50% or less for the other developed countries such as US, Germany, and UK. This will severely curtail Japan’s ability to borrow more, although it may be able to finance some borrowing by running down their large holdings of US debt. 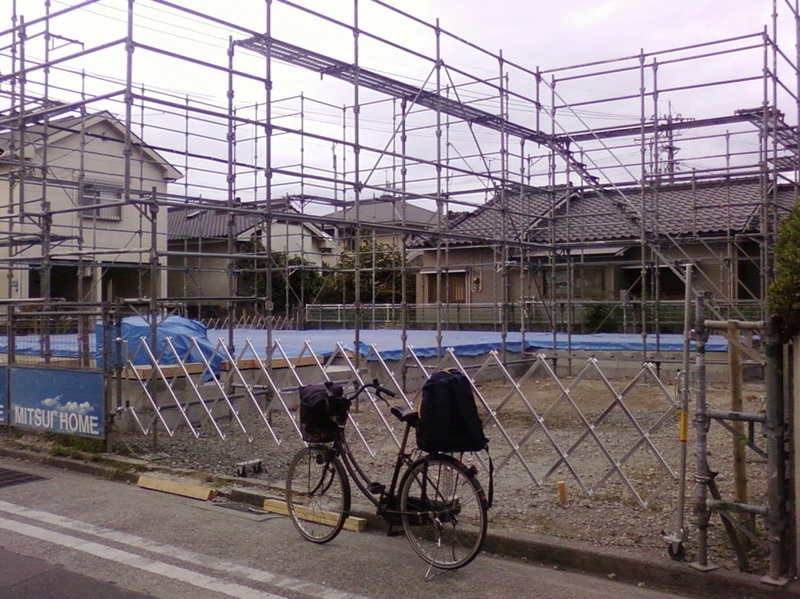 If Japan tries to increase taxes to pay for the reconstruction, that may discourage Japanese investment further. While the long-term pressure of looking after the rising proportion of elderly Japanese will further strain the economy. Japan must therefore find needs new sources of economic growth, and tourism can be one such source. Understandably, Japanese tourism has suffered since the nuclear disaster because of tourists’ fears of radiation. However, Japanese tourism was suffering long before that. 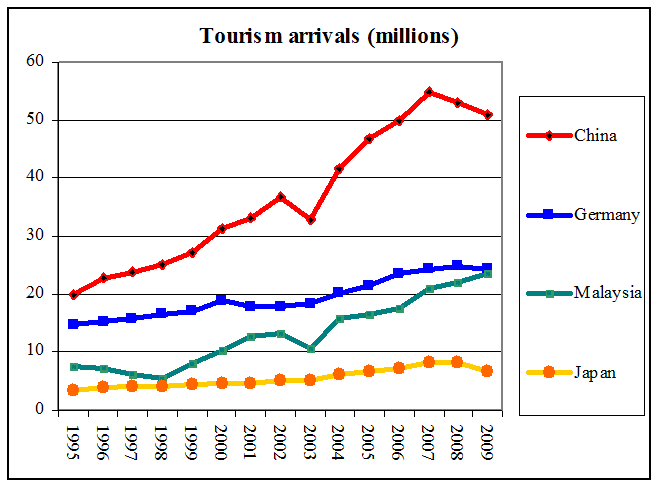 Graph 3 indicates clearly that from 1995, while China, Germany and France saw all saw large increases in tourism receipts, Japan saw stagnation for ten years from 1995 to 2005, a large increase for the first part of this decade and then another decline set in, which will have worsened this year. 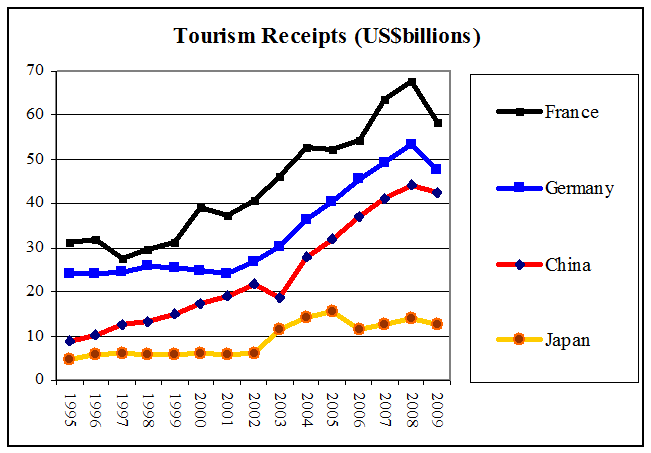 Very roughly, Japan could have been earning some US$30 billions more in tourism receipts in the last few years, had its tourism grown at the rate of Malaysia’s or China’s..
Graph 4 indicates the significant difference between the numbers of tourists visiting Japan and the other comparable countries. Japan is clearly the “odd one out”. China, who the world associates with industrial development, has gone from only 20 million in 1995 to more than 50 million now, and the numbers are still rapidly growing. Tourism has become an important part of China’s economy, and will keep increasing, as a valuable support to its industrial economy. Malaysia has also seen very large increases to enable it reach Germany’s levels by 2009. So why has Japan’s tourism industry not grown along with others? A recent Japanese Report of the Research Committee on “Industry Measures to Enhance the Competitiveness of Japanese Tourism Industry” (Global Industrial and Social Progress Research Institute) tried to explain why. The Report addressed the usual tourism factors everywhere in the world: branding, marketing, infrastructure, what kind of culture to sell, eco-tourism, theme parks, the need for all industries to become tourism oriented, etc. Oddly, there was no mention of the need to make the Japanese environment friendly for English speakers, who comprise a large part of international tourists, even from non-English speaking countries like Germany and France. Kagoshima may be out of the way of the usual tourist flows into Japan, yet it is potentially an extremely rich tourism location. There is a spectacular active Sakurajima volcano close to the city, spewing smoke and occasionally ashes into the atmosphere; hot water springs and baths with supposed medical value; temples and cultural tours; a giant aquarium full of exotic sea creatures; beautiful under-utilised golf courses (such as the undulating hill-top Nagoku Country Club with magnificent views of Kagoshima Bay and Sakurajima); and a mild clement weather. While Kagoshima seems to attract some Chinese and Korean tourists, there are few English-speaking tourists around. Part of the problem may be that the environment is extremely difficult for English-speaking persons. Most people do not understand English; there are few public signs in English; restaurants do not give menus in English; very few products in super-markets have descriptions in English; basic equipment which need to be used every day (rice cookers, washing machines, tv, etc) do not have instructions in English (and trial and error may take a frustrating week before things work smoothly). I found it quite traumatic trying to get an over-the-counter medicine from a pharmacist who had no medicines with English descriptions on the packaging, who did not even have a list of all his medicines in English, and who was not able to understand that you are allergic to some compounds and may be in serious trouble if you ingest the wrong combination of drugs. English-speaking tourists falling ill without access to a doctor can be indeed in deep trouble. Japanese television programs, many extremely interesting visually, never have subtitles in English. Where a program’s original dialogue may have been in English, the Japanese dubbing removes the conversation in English, and only Japanese conversation comes across. There are English-teaching television programs (usually on at extremely odd hours such as 6 in the morning) where English lessons are given. It would be interesting to find out how many Japanese do use these programs to learn English. If these programs have been around for several years, then the very fact that few people speak English would suggest that their impact is not significant. It is also quite likely that major tourism destinations and the major (like Tokyo and Osaka) cities probably do have higher proportions of English understanding people. But even in a popular tourist city like Kyoto, it was extemely difficult to communicate with hotel operators on simple matters. The hotel would not be able to provide even a simple English map of the surrounding areas and facilities available to tourists. However, the challenge is to encourage tourism growth in parts of Japan which have not been enjoying economic growth over the last two decades- such as Kaagoshima. Quite related to tourism is the international students industry. It is odd that while there were some 140 thousand foreign students studying in Japan, the majority are from China (61%) and Korea (14%) with the remainder divided up amongst the rest of the world. As a recipient of US foreign students, Japan lags at 11th place behind even tiny Costa Rica, while Australia (with a total population of only 20 million or so) has twice as many US students as Japan (with a total population exceeding 100 million). Yet selling tertiary education has become a phenomenal growth industry globally which has been taken advantage of by countries like US (more than 500 thousand), UK (more than 250 thousand) and even small countries like Australia (more than 250 thousand). For UK and Australia, foreign students have not only become major export earners earning billions, but their marginal full cost foreign fee revenues enhance the quality of their tertiary institutions (which would struggle otherwise both in quality of students, staff and facilities) AND retain significant proportions of the graduates for their own growing economies. Japan could do with all these benefits. With its declining population, Japan moreover faces an uphill battle to fill university places in many parts of Japan away from the centres, where the local economies are also struggling. Kagoshima University is one example where the management are keen to “internationalise” their university, but seem to lack any innovative approach. Yet there are other universities in Japan (such as Waseda University) which have realised all the benefits not just of attracting foreign students, but also getting their own students to become proficient in English- to assist themselves become globalised professionals and assist Japanese corporations to become more successful globally. It is also odd that only 17% of foreign students are enrolled in science (1.4%) and engineering (16%) courses, which one would expect Japanese universities to offer the most to foreign students, especially those from the other English speaking countries. On the other hand, Arts had 24%, Social Science had 39% and even Home Economics had 2% of foreign students. Probably the easiest way for ordinary people to slowly absorb some knowledge of “working English” is to introduce it into their everyday lives, in small bits. With the mobile phone revolution, the Japanese-English dictionaries on phones need to be made user friendly and practical: not just with all the essentials but also the mode of translation. Japanese words need to be not just in Kanji script but also in English letters. The Kagoshima University and Kagoshima City could be good places to start such an experiment. All public signs in the University and the City could have both English and Japanese. All restaurants on the University campus and the city could have alternative menus in both English and Japanese. Bus and train stations, and bus-stops need to have timetables in English. And all this information should be on the web, in English. All common products in super-markets could have labeling in English. This would apply not just to the hundreds of manufactured items like cheese, sauces, canned stuff, pickles, etc., but also to fresh produce like meats, marine foods, vegetables etc. Essential products such as medicines must have parallel English descriptions, or at least every phamarcist must have full lists in English (with their Japanese counterparts of course) which can be referred to by English-speaking persons. Restaurants which do make the effort can get proper “accreditation” so they attract more people. Bars and restaurants could be accredited as English-speaking and with English menus, especially those around the University, thereby boosting their revenues. Tourism tours around Kagoshima and popular sports venues such as golf-courses or tennis courts or swimming pools could be encouraged to become English-friendly. Tourist brochures (in print and on the web) could highlight the features in English. Where TV programs are running dialogue in English, there could be Japanese sub-titles, with the English voices allowed to run along-side. There could be more Japanese programs which are dubbed in English. Currently there are only brief half hours of national news which are dubbed (quite well, I must add). Japanese words which are based on English words, could be spoken exactlyas the English would speak them, not in the Japanese version (which are not really genuine parts of ancient Japanese language and culture). It is critical that the English language to be used anywhere in Japan is written by an English expert. There are many signs in English in Kagoshima, where the meaning is clear to me, but the English used is inappropriate. “Please close the door when you open it” seems funny to English speakers, although the meaning is clear: “Please, keep this door closed”. One can find numerous such examples: “launch menu”; “orange source”; “cheap plice”; etc. The structure of English can be quite perplexing to non-English speakers. So it is important that when Japanese people are exposed to English, the syntax and grammar must be correct so that wrong syntax and words are not learnt, making it very difficult to “unlearn” afterwards. I suspect that if there is a national effort to make Japan more “English-friendly”, one of the biggest beneficiaries would be Japanese tourism. Of course, the high yen is a problem for tourism. But the high yen also encourages consumption of imported goods, and export of Japanese capital, while discouraging domestic investment. A lower yen, would not only be better for Japanese tourism and the international student market, but also for the whole Japanese economy. A greater awareness of English speaking could have many widespread benefits. This need not mean the undermining of Japanese culture and tradition, although no doubt Japanese culture, like most cultures world-wide, will acquire elements of the global culture that is developing throughout the world. Fiji people, with their many languages and cultures, have been able to acquire a working knowledge of English at all levels of the society, without losing their traditions and cultures. There are so many other facets of the Japanese experience I could write about: the many efficiency gizmos around the house, innovative space utilisation, the concern for the elderly, the special care for the handicapped, the disciplined farming, strict observance of rules and regulations, the processing, presentation and packaging of foods, the contrast between the demeanor of the elderly and the young, strict political accountability with government ministers resigning over a minor careless remark, and of course, the golf courses. Of course there are disconcerting experiences also (in addition to those I mention above) such as the backwardness of their mobile networks, the inflexibility in departing from set rules or menus, the national obsession with food and food preparation, and, in a time great international and domestic economic uncertainty, the continuing instability of Japanese political leadership which led even American journalists during a recent visit to USA by the Japanese Prime Minister to talk of the “revolving door for Japanese Prime Ministers”. But these are minor matters in the overall experience of a wonderful, civilized country and polite, disciplined, hard-working rule-abiding people, with a long and enviable ancient history and culture. Japan offers so much to Pacific Islanders to absorb and learn from. I would have liked to stay longer, but my personal priorities required otherwise.